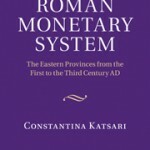 The Roman Monetary System: The Eastern Provinces from the First to the Third Centuries AD, (author), Cambridge: Cambridge University Press, 2011, 315 pp. 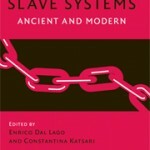 Slave Systems: Ancient and Modern (co-edited with E. Dal Lago), Cambridge: Cambridge University Press 2008, 400 pages. 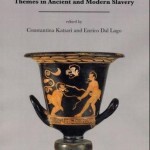 From Captivity to Freedom: Themes in Ancient and Modern Slavery, (co-edited with E. Dal Lago), School Monograph Series, Leicester: Leicester University, provisional date of publication 2008, 150 pages. 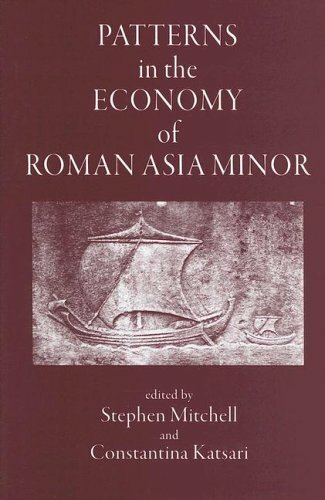 Patterns in the Economy of Roman Asia Minor, (co-edited with S. Mitchell), Swansea: The Classical Press of Wales 2005, 360 pages. ‘The owner of Misurata Hoard’, in S. Garraffo (ed. ), Il tesoro di Misurata (Libia). Produzione e circolazione monetaria nell’ eta di Costantino il Grande, Istituto Nazionale di Studi Romani, 19-20 April 2012, Rome 2014 (waiting for the proofs), c. 21 pp. ‘Inter-war ideology in Nelly’s photos: Nationalism, fascism and the classical tradition’, Journal of Modern Greek Studies 2013, c. 40 pp. ‘The use of coins in the Roman empire’, AncientPlanet Online Journal, 2013. ‘Roman army and the monetisation of Dacia’, in N. Sekunda et al. (ed. ), Armees grecques et romaines dans le nord des Balkans, Akanthina, Series 12, Gdansk 2012, 193-206. ‘Small change in the Roman Empire’, in A. Kuroda (ed. ), Monies for Ordinary People: Neither Precious, Nor National, International Workshop at the University of Tokyo, 15-16 October 2009, Tokyo 2009, pp. 78-86. ‘Coinage changes in Asia Minor during the third century AD’, in A. Sideris et al. (eds. ), Encyclopaedia Micrasiatica Greca, Foundation of the Hellenic World, Athens 2009 (in Greek and English). ‘Customs in Asia Minor’, in A. Sideris et al. (eds. ), Encyclopaedia Micrasiatica Greca, Foundation of the Hellenic World, Athens 2009 (in Greek and English). ‘Electron’, in A. Sideris et al. (eds. ), Encyclopaedia Micrasiatica Greca, Foundation of the Hellenic World, Athens 2009 (in Greek and English). ‘Invention of coinage’, in A. Sideris et al. (eds. ), Encyclopaedia Micrasiatica Greca, Foundation of the Hellenic World, Athens 2009 (in Greek and English). ‘The Roman colonies of Greece and Asia Minor: Questions of state and civic identity’ (co-author S. Mitchell), Athenaeum 95 (2008), pp. 219-247. ‘World slavery and comparative slavery: Diachronic approaches’, (co-author E. Dal Lago), in C. Katsari and E. Dal Lago (eds. ), From Captivity to Freedom: Themes in Ancient and Modern Slavery, Leicester: Leicester University 2008, pp. 1-15. ‘Ideal models of slave management in the Roman world and the ante-bellum American South’, (co-author Enrico Dal Lago), in E. Dal Lago and C. Katsari (eds. 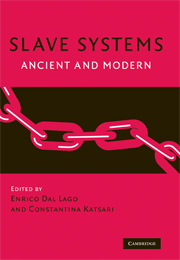 ), Slave Systems: Ancient and Modern, Cambridge: Cambridge University Press 2008, pp. 187-213. 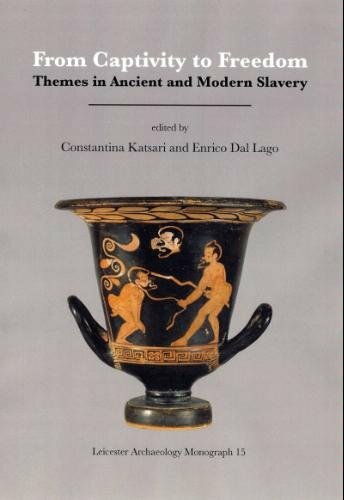 ‘The study of ancient and modern slave systems: setting an agenda for comparison’ (co-author E. Dal Lago), in E. Dal Lago and C. Katsari (eds. ), Slave Systems: Ancient and Modern, Cambridge: Cambridge University Press 2008, pp. 3- 31. ‘The monetisation of Rome’s frontier provinces’, in W. Harris (ed. 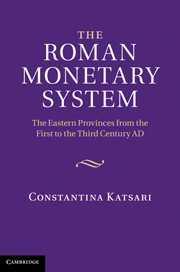 ), The Monetary Systems of the Greeks and the Romans, Oxford: Oxford University Press 2008, pp. 242-266. ‘Comparative Slavery: A historian’s view’ Archaeological Dialogues 15.2 (2008), pp. 130-134. ‘Money and proto-national identities in the Greco-Roman cities of the first and the second centuries AD’, National Identities 8.1 (2006), pp. 1-20. 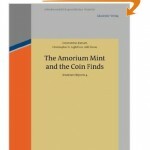 ‘The development of political identities in Phrygia from the second century BC to the third century AD: The case of Amorium’, Annali: Istituto Italiano di Numismatica (2006), pp. 1-32. ‘The monetization of Roman Asia Minor from Septimius Severus to Gallienus’, in C. Katsari and S. Mitchell (eds. ), Patterns in the Economy of Roman Asia Minor, Swansea: The Classical Press of Wales 2005, pp. 261-289. 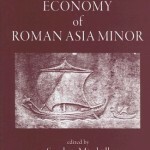 ‘Introduction: The economy of Roman Asia Minor’ (co-author S. Mitchell), in C. Katsari and S. Mitchell (eds. ), Patterns in the Economy of Roman Asia Minor, Swansea: The Classical Press of Wales 2005, pp. xiii-xxxi. ‘Bimetallism and the circulation of gold coins during the third and fourth centuries AD?’, Münstersche Beiträge zur Antiken Handelsgeschichte 22.1 (2003), pp. 22-41. ‘Opramoas and the importation of bronze coins in Roman Lycia’, Epigraphica Anatolica 35 (2003), pp. 141-145. ‘The organisation of Roman mints during the third century AD: the view from the eastern provinces’, Classics Ireland 10 (2003), pp. 27-53. ‘The statistical analysis of stray coins in museums: the Roman Provincial Coinage’, Nomismatika Khronika 22 (2003), pp. 47-56 (In both English and Greek). ‘Evaluating web-based research in the field of ancient numismatics’, Pegasus: The Journal of the University of Exeter 46 (2003), pp. 29-34. ‘Public images of Roman imperial women during the Julio-Claudian period: A review article’, Women Studies’ Review, 8 (2002), pp. 1-12. An abbreviated version of this article appears in R. Pelan and A. Hayes (eds. ), Women Emerging, Women’s Studies Centre, National University of Ireland, Dublin 2005. ‘The military orientation of the Roman emperors, Septimius Severus to Gallienus’, Anistoriton Journal 6 (2002), pp. 1-6. “Reassessing the function of grooves in Mycenaean tombs”, (co-author P. Grigoriadou), Papers from the Institute of Archaeology, 12 (2001), pp. 66-76.
Review of Roberts, K., The Origins of Business, Money and Markets, New York: Columbia University Press 2011, for Business History (2012). Review of Peter Fibiger Bank,The Roman Bazaar: A Comparative Study of Trade and Markets in a Tributary Empire, Cambridge: Cambridge University Press 2008, for The Journal of Roman Studies (2010). Review of W. Scheidel, I. Morris and R. Saller, The Cambridge Economic History of the Greco-Roman World, Cambridge: Cambridge University Press 2007, for Bryn Mawr Classical Review (2009). Review of F. Millar, Rome, the Greek World and the East: Government, Society and Culture, vol. 2, edited by Hannah M. Cotton and G.M. Rogers, Chapel Hill/ London: North Carolina Press 2004, for Rivista Italiana di Numismatica 107 (2006), (in Italian). Review of F. McHardy, Women’s Influence on Classical Civilisation, London/ New York: Routledge 2004, Irish Feminist Review 1 (2005). Review of T. Urbainczyk, Spartacus, London: Duckworth 2004, Classics Ireland (2005). Review of Meadows, A. and Kirsty Shipton (eds. ), Money and its Uses in the Ancient Greek World, Oxford/New York: Oxford University Press 2002, Classics Ireland (2005). Review of Konstantinos Kapparis, Abortion in the Ancient World, London: Duckworth 2002, Women Studies’ Review 9 (2003). Review of Young, Gary K., Rome’s Eastern Trade. International Commerce and Imperial Policy, 31BC-AD 305, New York/London: Routledge 2001, Bryn Mawr Classical Review (2002). Review of Kremide-Sisilianou, S., I Nomismatokopia tis Romaikis Apoikias tou Diou / The Coinage of the Roman Colony of Dion. Biblioteca of the Hellenic Numismatic Society 4, Athens 1996, Numismatic Chronicle 160 (2000), p.391. “Dora kai doreai diaferei” (Delta 1452), “Denarion” (Delta 478), “Didrachmon” (Delta 866), “Diakekoptai” (Delta 573), (Epsilon 2271), “Hellenotamiai” (Epsilon 841), “Ethnitai” (Epsilon 326),“Thetta” (Thetta 372), “Kephalaia” (Kapa 1440), “Kolektarios” (Kappa 1934), “Kolumbon” (Kapa 1976), “Mna” (Mu 1144), “Nomisma” (Nu 466), “Prytaneia” (Pi 2997), “Siklon” (Sigma 399), “Tetartemorion” (Tau 371), “Triobolimaios” (Tau 997), “Phollis” (Phi 564), “Chalkoi” (Chi 56), “Chalkeus” (Chi 32), “Chrysidion” (Chi 565), “Chrysizo” (Chi 566). In D. Whitehead (ed. ), Suda On Line: Byzantine Lexicography, Stoa Consortium 2001.